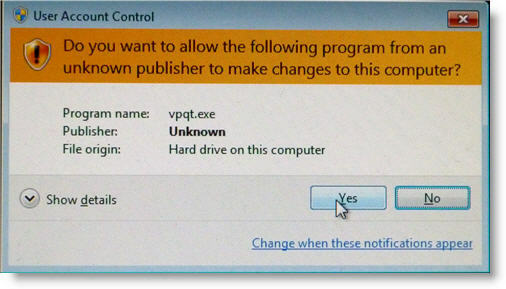 Open the “vpqtplugin2.zip“. 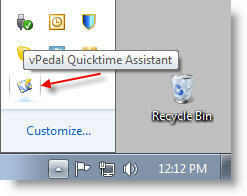 Double click on the file vpqtplugin2.exe to install vPedal Quicktime Assistant. 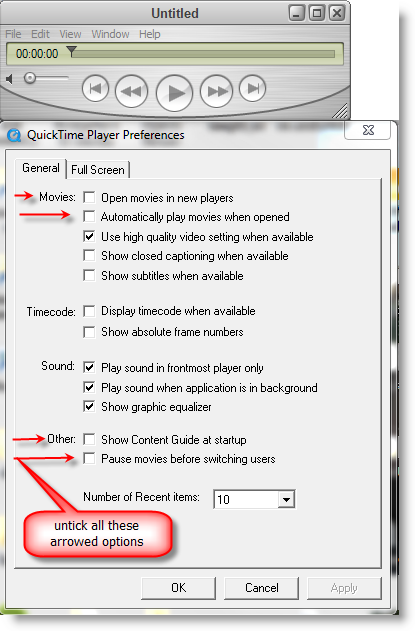 Double clicking on the icon will cause the program to load into the right hand side of your taskbar and opens Quicktime. 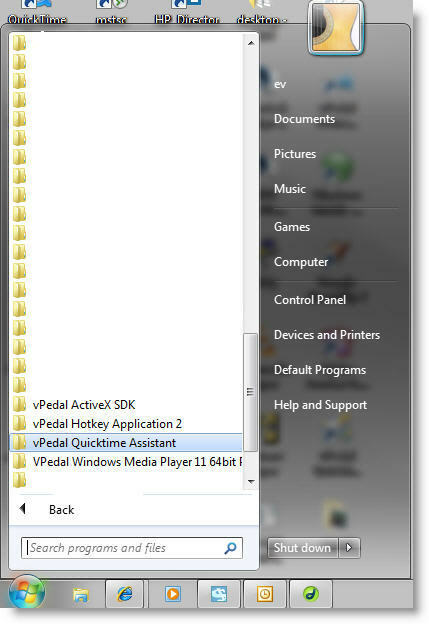 You will have to start the vPedal Quicktime Assistant 2 times in Windows 7. The first time you will get these messages. 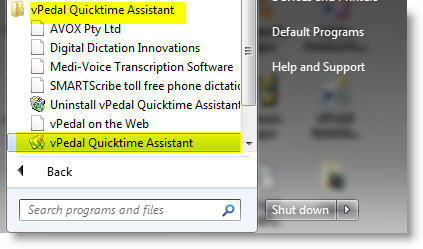 please ignore this then start vPedal Quicktime Assistant a second time so that its icon is showing in the task bar on the right hand side of the bottom of your computer monitor. ~ the plugin is not working. Note: if you are playing back “.mp4” files using the Quicktime Assistant on some versions of windows, only the play / pauses work. The file rewind / fast forward don’t work. 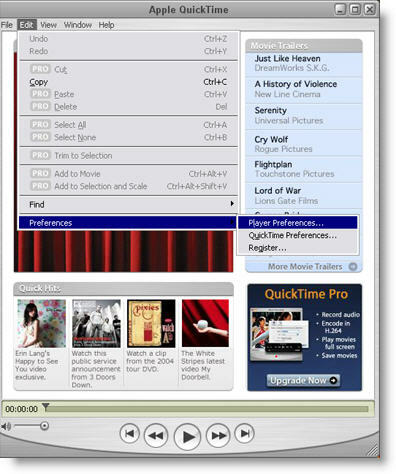 This has to do with the quicktime player. we have found a work around that if you use the Windows Media Player with the vPedal plug-in and install the extra codec’s which allows the playback of mp4 files that solution will rewind / fast forward.